The Lawudo Retreat Centre sustained substantial damage following the April 2015 earthquake and aftershocks. The Lawudo Retreat Centre, situated high in the Himalayan mountains of eastern Nepal, holds particular significance for FPMT. Lama Zopa Rinpoche is the reincarnation of the Lawudo Lama, Lama Kunzang Yeshe, who lived and practiced in Lawudo until his passing at age 81. The Lawudo Retreat Centre was built over several years and completed in 1972 under direction from Lama Zopa Rinpoche. The gompa was built so that young monks in the area could receive a good education with favorable conditions. Since that time, Rinpoche’s mother (who passed away in 1991), sister Anila Ngawang Samten, and brother Sangay Sherpa have cared for the Lawudo Lawudo Retreat Centre and welcomed pilgrims, retreatants and locals to this extremely blessed and remote place. The property suffered damage from the earthquake and subsequent aftershocks which struck in April 2015 and renovations were needed quickly so that those living in Lawudo would have protection from the monsoon season. Fortunately, the Nepal Earthquake Support Fund was able to quickly offer US$50,000 to begin the rebuilding process. From that grant, approximately 90% of the work was completed but a few major projects remained unfinished due to lack of funds. 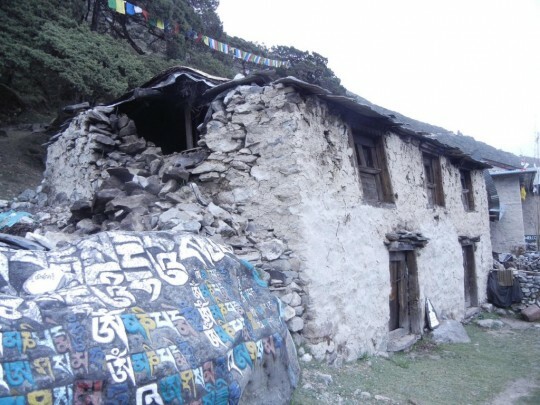 The remaining work was estimated to cost US$36,000 and included renovation to the west side of the main gompa, rebuilding of two houses, and the renovation of a third. Due to a US$20,000 donation from benefactors in Singapore and a US$16,000 grant from the Nepal Earthquake Support Fund, hopefully this essential work can now be completed. Sangay Sherpa, Lama Zopa Rinpoche’s brother, is the director of the center and is overseeing the repairs and rebuilding and submitting progress reports and updates. 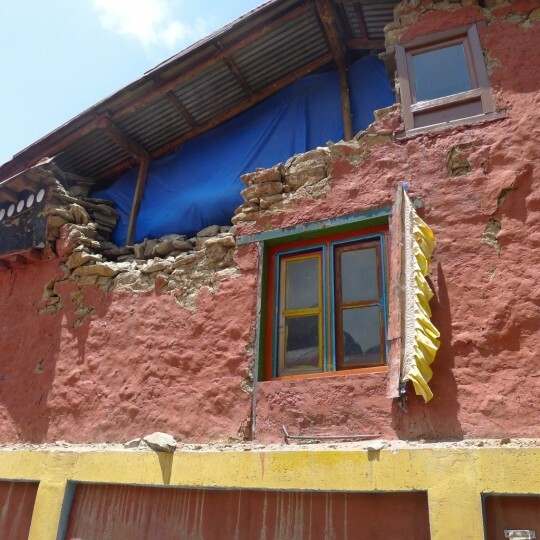 Damage done to Lama Zopa Rinpoche’s birth home. Help is still needed for renovation and repairs throughout Nepal as the region does not yet have its basic infrastructure back to normal. Your donations to the Nepal Earthquake Support Fund will allow for more grants to be distributed as needed. To date, an incredible US$835,719.77 has been distributed from this fund. All areas which have received support are monitored to make sure that the resources are being properly utilized and that ongoing needs are accounted for. It is a high priority for FPMT to continue to offer direct support in this way to the people of Nepal. Tremendous thanks to all who have contributed to these efforts and please rejoice that rebuilding from this substantial damage is underway. All are invited to donate to the Nepal Earthquake Support Fund.